Save the date 21/03/2017. Conference in the European Parliament in Brussels. 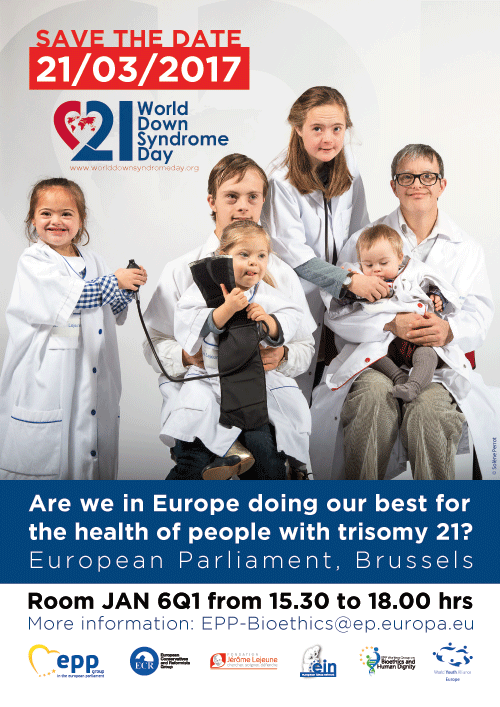 Are we in Europe doing our best for the health of people with Trisomie 21?